Blind Builders is a local family owned and operated business specializing in custom window treatments, including window shutters. Shutters (also called plantation shutters) are both highly detailed and uniquely crafted. Expert knowledge and measuring is essential. Wood Shutters: Handcrafted from premium basswood that is treated and cured for long term stability and endurance, wood shutters enhance the room by providing either a classic or modern feel, depending on how they’re designed. 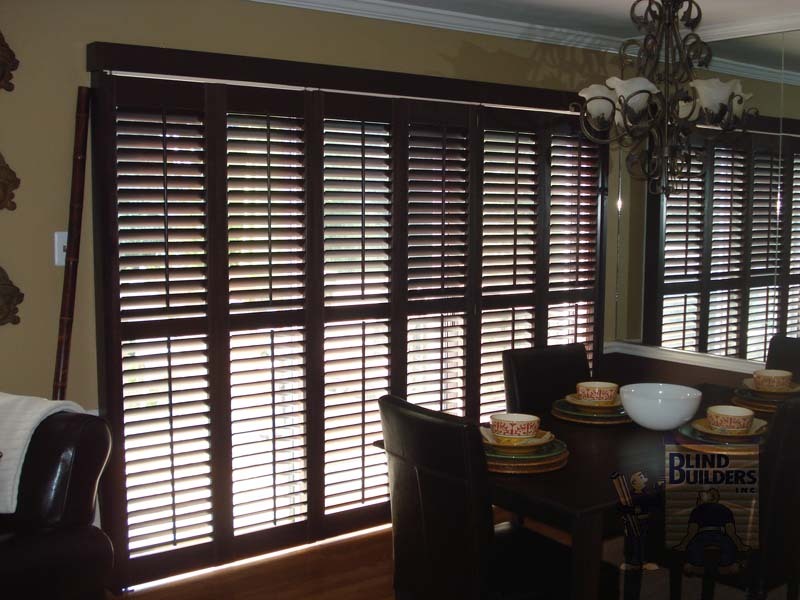 Composite Wood Shutters: Featuring a solid engineered wood core that is enclosed in a patented coating, these shutters are perfect for any environment, and will add an open and inviting feel to your room. Our goal is to make your shopping experience easy and personal. We take time to understand individual preferences and work with you to find the right product for your needs, style and budget. Newtown Grant is a census-designated place that is located in Bucks County, Pennsylvania. Newtown Grant falls within the County Rock School District, which is one of the highest ranked districts in the area. Newtown Athletic Club – The Newtown Athletic Club is a top notch athletic club located in Newtown, PA. The NAC offers all the amenities you’ve come to expect from a high-end athletic club, and then some. Bucks County Community College – Since 1964, Bucks County Community College has been providing higher education to local high school graduates and other Bucks County residents.